Very pleased to have Kendra Olsen as my guest today. Kendra is an author as well as a blogger and tells us a bit about her book below. Thanks for agreeing to be part of my Blogger in the Spotlight feature. First of all, would you tell me a little about yourself? I’m originally from California but now live in London with my husband and our two long-haired, rescue cats. I’m a published novelist and my first novel, The Forest King’s Daughter, was released last year by Pilrig Press. In addition to writing novels I enjoy writing short stories and creative non-fiction, including book reviews, some of which feature in the regional Scottish magazine, Lothian Life. I also take great pleasure in reading and books, and talking about reading and books on my blog, https://kendraolson.wordpress.com/ . I remember delighting in the Pippi Longstocking books by Astrid Lindgren—for a while I remember even trying to sleep with my feet on the pillow, as Pippi does. She always seemed to have so much fun and I was deeply jealous of her pet monkey, Mr Nilsson. When I got a bit older, I liked Little Women by Louisa May Alcott and the Anne of Green Gables series, which my grandmother introduced me to by giving me a beautiful hardcover set for my twelfth birthday. 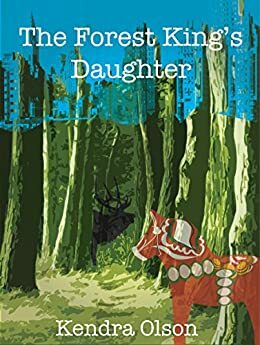 Well, when The Forest King’s Daughter was accepted by Pilrig Press for publication I knew I needed to start using social media to help promote it. Having very little idea of what was involved, I decided to start a blog as I knew other authors who’d begun blogging for similar reasons. Initially, I wrote about my novel but, eventually, it seemed to turn into a book blog. I suppose this is really just because I love reading and so writing book reviews seemed like a good way to come up with content for the blog. Of course, along the way, I discovered that I appreciate blogging for its own sake. Getting to know new writers and books which I might not otherwise have heard about and being part of the book blogging community which I’ve found to be incredibly helpful, kind, supportive and fun! Also, the ability to experiment with and explore literary journalism, if that’s not too grand a term. J .The consistent writing and editing practice which blogging gives me provides a good framework from which to approach my fiction writing and the feedback in the form of blog comments, etc is always nice—writing is such a solitary activity and so any form of encouragement is very welcome. Although my blog is labelled as a writer’s blog, I often feature reviews of books I’ve enjoyed and interviews with writers whose work I find interesting. I have a particular interest in featuring books with diverse characters. For example, I’ve featured The Single Feather which is R.F. Hunt’s debut novel and whose protagonist is paraplegic. Also, strong female characters who don’t quite fit the mold, for example, obsessive and revenge-bent mother Rachel in J.A. Corrigan’s psychological thriller Falling Suns. I relish novels with a strong sense of place, particularly if that place is less well known. A few months back I reviewed LaRose by Louise Erdrich which takes place in an Ojibwe (Native) area of North Dakota. I also appreciate books which use regional dialect, such as Talk of the Toun by Helen Mackinven. However, just as many of the books I feature are books I’ve enjoyed for reasons entirely my own. Generally speaking, I try only to review books which I’ve enjoyed. If I really wanted to be picky I’d say: 1) Owl Song at Dawn by Emma Claire Sweeney as it’s a novel unlike any I’ve read before. Besides an incredibly accomplished writing style, Sweeney tackles discrimination in all its forms. She also manages to give a voice to those with learning disabilities in such a way that she never comes across as infantilising or condescending. This in itself is a remarkable achievement. 2) Sandlands by Rosy Thornton as it’s a gorgeous collection of poetic and poignant short stories which captures the past and present in one fell swoop. 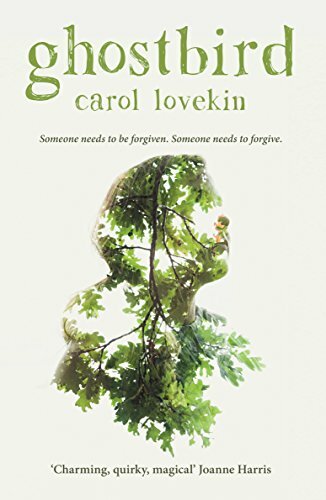 3) Ghostbird by Carol Lovekin because Lovekin’s writing shines with the difficult magic of female camaraderie and with real magic as well. As of the 30th August 2016 I’m reading Barkskins by Annie Proulx and I’m about to delve into Helen Mackinven’s new novel, Buy Buy Baby. All of the above! Really I like to read anytime and anywhere. Besides lounging about with a good book, I’m equally happy reading a few pages while waiting for the bus or even while queuing in the supermarket! Hmm…this is a tough one! Most characters have to undergo hardship and difficulty in order to be interesting to the reader, so I’d really rather read about them than be one! However, if I absolutely had to choose, then Lilwen Hopkins in Ghostbird as she gets to both create and to experience magic, much as a good writer does. This makes sense really as besides being a very wise woman, knowledgeable in the ways of herbs and of life, she’s also a writer, and a writer of fairy tales no less. I also think it would be such fun to live in a small cottage in the Welsh countryside, as she does, with owls flying about at night and a garden full of wild herbs and trailing jasmine to retreat to. Thank you for having me, Joanne!